Trees lush with leaves in spring look empty with their narrow branches in winter. Clicked in the gardens at the royal palace of La Granja. 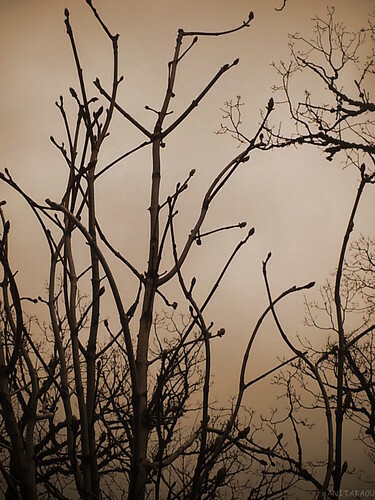 This entry was posted in Contrast, Dominant color, Light, Lines, Monochrome, Nature, Silhouettes and tagged DPchallenge, Photography, Spring, Trees, Winter. Bookmark the permalink. Nice interpretation 🙂 Nice photo. Nice. Photos like this always make me a little sad thinking of winter. I actually went and made myself a cup with lunch.